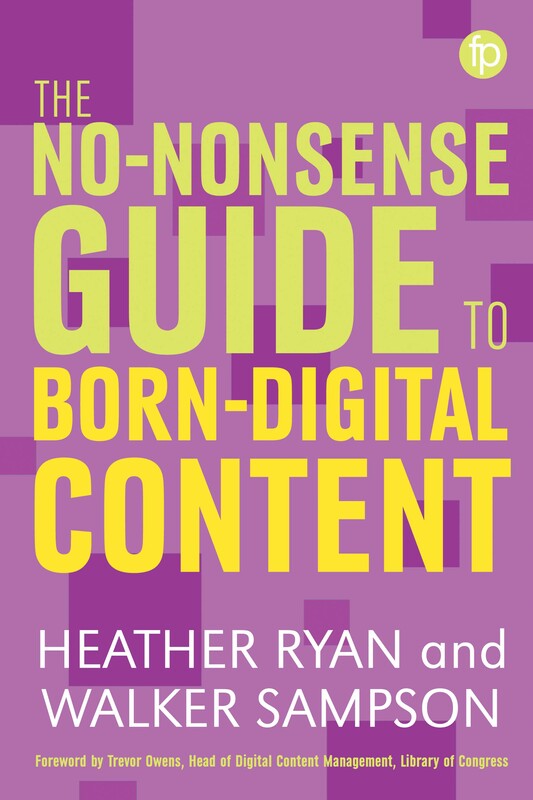 I was thrilled to have the chance to write the forward to Heather Ryan and Walker Sampson’s new book The No-Nonsense Guide to Born Digital Content. I wrote it last year, but the book just rolled out last month. 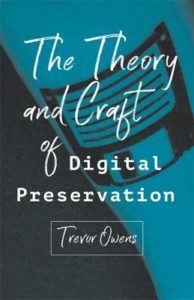 It’s full of hands on practical guidance that I think complements my own forthcoming book The Theory and Craft of Digital Preservation (free OA preprint here). I checked in and Heather was Ok with me sharing it here. Excited to see work like this getting out there! 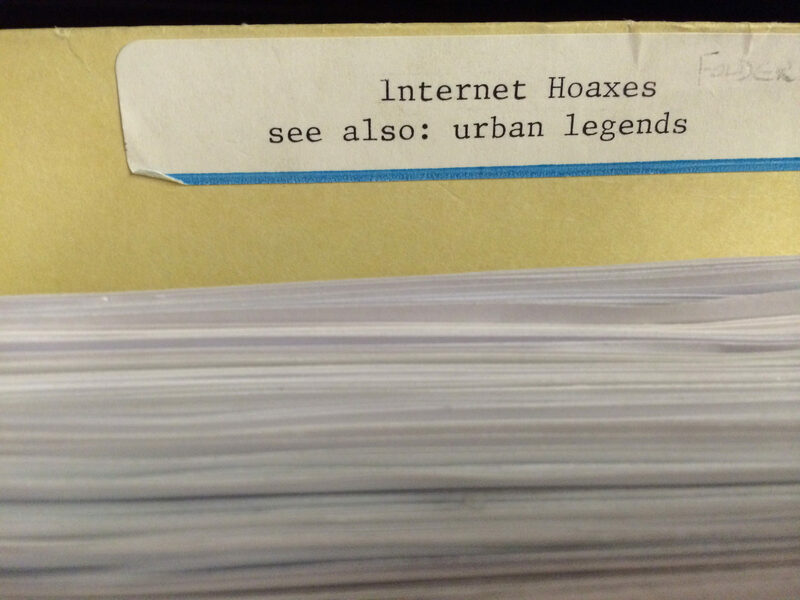 When historians tell stories of life in the later half of the 20th and beginnings of the 21st century they will do so from an evidentiary basis of born-digital primary sources. Emails, websites, word documents, PDFs, video and audio files. It is from born digital objects like these that people of the future will come to understand our world. I continue to use the somewhat awkward phrase “born digital” because for most library, archives and museum professionals digitization remains their default conception of what digital collection content is. That needs to change. 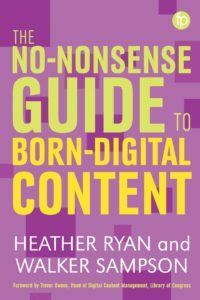 We need to catch up to the digital present and I think The No-Nonsense Guide to Born Digital Content can help us. Librarians, archivists and museum professionals need to collectively move away from thinking about digital, and in particular born-digital as being niche topics for specialists. If our institutions are to meet the mounting challenges of serving the cultural memory functions of an increasingly digital first society the institutions themselves need to transition to become digital first themselves. 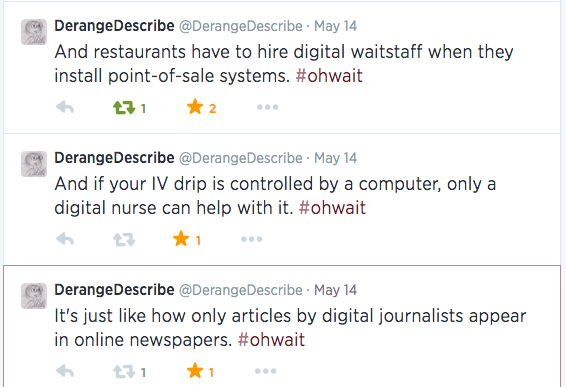 We can’t just keep hiring on a handful of people with the word digital in their job titles. You don’t go to a digital doctor to get someone who uses computing as part of their medical practice and we can’t expect that the digital archivists are the ones who will be the people who do digital things in archives. The things this book covers are things that all cultural heritage professionals need to get up to speed on. I am thrilled to have the chance to open Heather and Walker’s book. I have known both of them directly and indirectly through our shared travels through the world of digital preservation. 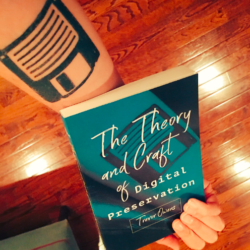 In what follows I offer a few of my thoughts and observations for you to take with you as you work through this book on a journey into the growing digital preservation community of practice. To kick off your exploration of this book I will lay out three observations I believe are essential to this journey; we will never catch up, our biggest risk is inaction, and we all need to get beyond the screen in our understanding of digital information. Together, I believe these points demonstrate the need to use this book as a stepping stone, a jumping off point for joining the community of practice engaged in the craft of digital preservation. There is no time to wait. Digital media is more unstable and more complex than most of the media librarians, archivists and curators have worked with. We don’t have time for a new generation of librarians and archivists to move into the field. We don’t have time for everyone to do years of professional development. Instead, we need to make space and time for working cultural heritage professionals to start engaging in the practices of digital curation. This book can be a huge help in this regard. Digital information isn’t just what it looks like on the screen at a given moment. To be an information professional in an increasingly digital world requires all of us to get beyond the screens in two key ways. First, we all need to develop a base level conceptual understanding of the nature of digital information. This book is helpful in that regard by providing some foundational context for understanding bitstreams and data structures. Second, we need to up our game for working with command line tools and scripts. As the pace of change around digital information develops and changes we can’t depend on the development of tools with slick graphic user interfaces. We need to accept that all the systems and platforms we use are layers and interfaces to our digital assets. That is, your content isn’t “in” whatever repository system you use, that system needs to be best understood as the current interface layer that effectively floats on-top of the digital assets you are ensuring long term access to. The hands on focus of this book and the inclusion of methods and techniques for working with data at the command line is invaluable as a jumping off point for learning this kind of skill and technique. For more on the idea of digital preservation as craft check out my forthcoming book. When I started working in digital preservation more than a decade ago I was largely confused and befuddled by a field that presented points of entry to the work as complex technical specifications and system requirements documents. It felt like there were a lot of people talking about how the work should be done and not a lot of people doing the work that needed to be done. I’ve been very excited to see the field turn that corner in the last decade. 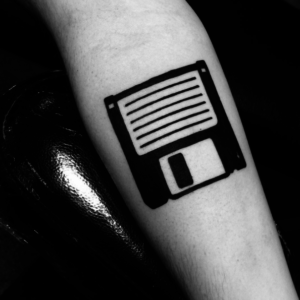 We are moving further and further away from the idea that digital preservation is a technical problem that the right system can solve toward the realization that ensuring long-term access to digital information is a craft that we practice and refine by doing the work. I think this book can help us all become better reflective digital preservation practitioners. However, it can only do that if you actually start to practice it. So do that. If you aren’t already, go ahead and start to participate in the practice and join the community that is forming around these practices. You can use this book to help to start learning by doing. You will get the most value out of this book if you are trying to work through the process of getting, describing, managing and providing access to digital content. As you go you are going to need to write down what you are doing and why you are doing it the way you are. One of my mentors, Martha Anderson, would always describe digital preservation as a relay race. You’re just one of the first runners in a great chain of runners carrying content forward into the future. When those folks in the future inherit your content they are going to need to understand why you did what you did with it and the only way they are going to be able to do that is by reading the documentation you produced regarding the how and the why of all the choices you’ve made. So be sure to write that down. I would also implore you to share what you write as you go. 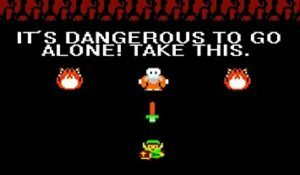 It’s dangerous to go alone, take this community with you. Around every corner there is another new kind of content. There is another challenging issue regarding privacy, ethics and personal information. 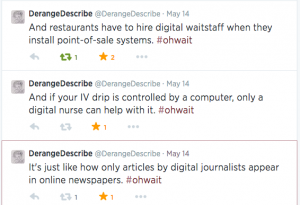 There is another set of questions about how to describe and make content discoverable. There is another new kind of digital format, another new interface, and another new form of digital storage. You can’t do this alone. The good news is that everyone working on these issues in libraries, archives, museums, nonprofits, government, and companies can share what we figure out as we work through this process and build a global knowledge base of information about this work together. Take this book as a jumping off point. Join digital preservation focused organizations like the National Digital Stewardship Alliance, the Research Data Alliance, the International Internet Preservation Consortium, the Electronic Records Section of the Society of American Archivists, and the Digital Preservation Coalition. Go to their conferences, start following people involved in these groups on twitter, follow their journals, their blogs, and their email lists. 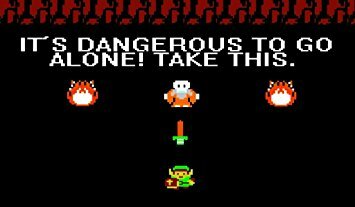 It’s dangerous to go alone! Take this book as the starting point of a journey into our community of practice and realize that you are not alone. Even if it really is just you working on digital preservation as a lone arranger at a small organization the rest of us are out here working away at the same problems.